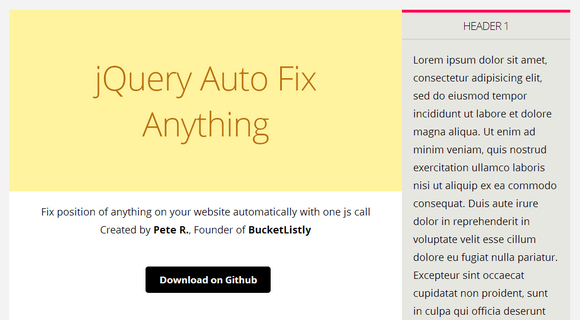 Auto Fix Anything is a little plugin will let you automatically fix position of any container on your website with one JS call. With this plugin you can dynamically fix a container within the viewport. The plugin will detect when to fix/unfix the position automatically. Modern browsers such as Chrome, Firefox, and Safari, on desktop have been tested. xD for real ? I will test this.